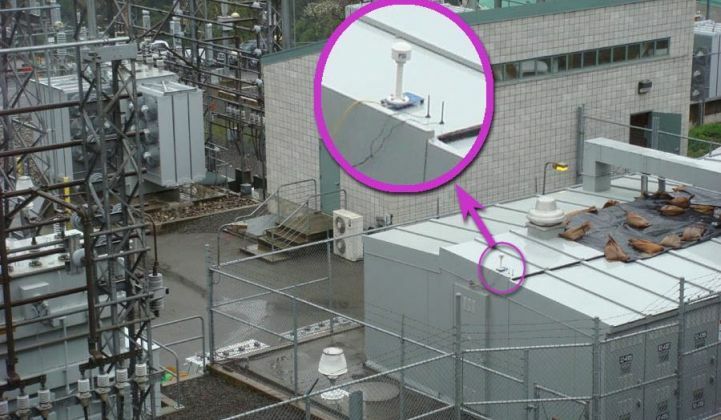 Government labs deploy real-time, GPS-synchronized sensors to plot how solar interacts with the grid. The electricity zipping around neighborhoods that have lots of rooftop solar PV is very different from conventional electricity. Not only does it sag and surge in response to the pattern of clouds crossing overhead, but it is also provided by lots of inverters, which creates electrical conditions very different from the alternating current supplied by big spinning generators. The technology being applied to managing this distributed energy landscape includes smart inverters, advanced power electronics and other grid edge devices, as well as the communications networks and software platforms that make use of it all. Now, courtesy of Lawrence Berkeley National Laboratory and the Department of Energy’s ARPA-E program, we’ve got a new contender: the microsynchrophasor. The “synchrophasor” part of this term comes from the core technology that LBNL and its partners are using. DOE’s smart grid stimulus grants included hundreds of millions of dollars for phasor measurement units (PMUs), also known as synchrophasors, to be deployed on transmission grids across the country, in order to record and correlate data at millisecond speeds, with the goal of providing the kind of real-time insight that could help avoid another 2003 blackout. Now it’s doing something similar, only at the distribution scale -- thus the “micro” part of the new project’s name. Under the $4 million ARPA-E grant, LBNL and the California Institute for Energy and Environment have installed the microsynchrophasor devices at one of the lab’s transformer substations, as well as with four as-yet-unnamed utility partners in the state. Each deployment includes about ten of the devices, made by Alameda, Calif.-based Power Standards Lab (PSL), over one or two distribution feeders. “We’re trying to demonstrate the value of having another variable measured on the distribution system that’s not normally measured,” said Emma Stewart, an engineer in the Environmental Energy Technologies Division of Berkeley Labs. LBNL and its partners are trying to measure things that can’t be measured in normal ways. Take the challenge of measuring phase angles -- the shifts in the sine-wave patterns made up of grid power that’s delivered in three phases at higher voltages, then split into single phases for lower-voltage distribution. Getting accurate phase-angle data at any one point on the grid is a challenge, one that requires super-fast and super-accurate data capture. Distribution grid fluctuations require even more fine-tuned measurements than the comparatively larger changes recorded by transmission grid PMUs -- something PSL’s device tackles with its 512 measurements per cycle, compared to a typical twenty-four times per cycle for PMUs. But phase-angle data only becomes really useful when it can be recorded at multiple points across the grid, all at once, Stewart explained. That’s where synchronization comes in. 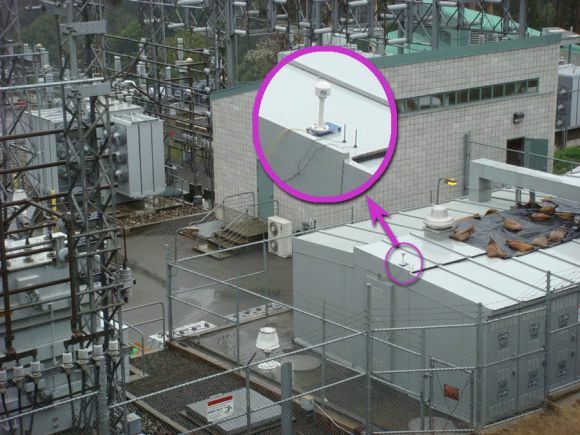 Each of the devices LBNL has deployed comes with a GPS antenna to precisely match its data with every other device out there, as well as 4G LTE communications to keep each device in contact with central command. Lots of utilities and research institutions are measuring, analyzing and tinkering with the operations of solar PV-impacted grids to make sure they’re still operating within set safety guidelines. 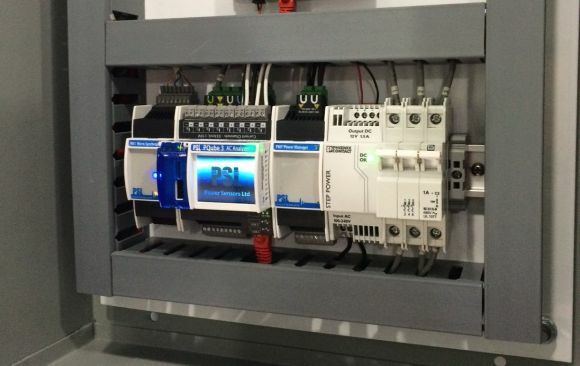 Solar PV inverters, for instance, are programmed to cut out when grid voltage surges or sags to a certain level. But sometimes that feature can make a small problem worse, by cutting out solar’s support when the grid needs it. On the other hand, some neighborhoods may have so much PV on a circuit that when the grid goes down, they mistake each other’s power as being grid power, and don’t shut down. That’s called anti-islanding, and it’s a hazard for utility workers trying to fix an outage. Beyond measuring what really happens in circumstances like this, synchronized phase-angle measurements can actually help utilities pinpoint the location of an outage on the grid, she noted. They can also provide insight into the relative strength and location of different distributed sources of energy -- not just in after-the-fact analysis, but in real time. California is a hotbed of distributed energy R&D, with all of the state’s big utilities piloting solar PV, energy storage, plug-in electric vehicles, and various forms of customer energy management. “Southern California is an interesting case right now,” she noted, with state regulators requiring Southern California Edison and San Diego Gas & Electric to come up with clean, distributed energy resources to help make up for the closure of the San Onofre nuclear power plant. Meanwhile, the California Public Utilities Commission has ordered its big investor-owned utilities to evaluate these distributed resources in their billions-of-dollars-per-year distribution grid plans. Perhaps microsynchrophasors can find a role to play in the mix of grid and customer technologies that will be required to tame this electromagnetic frontier.